MP-5277576 A4 Latch - 1994-2002 (old style) Dodge Ram - Gas - 3.9L, 5.2L & 5.9L Standard Duty engine (Need 3) $ 9.95 ea. 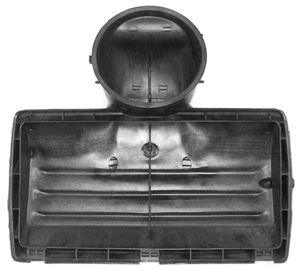 These Cast Air Cleaner Systems feature a cast aluminum lid with Mopar Performance Pentastar or Jeep® logo painted in black to match the style of the Black Wrinkle Cast Aluminum Valve Covers. 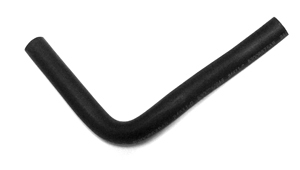 Includes 12 3/4" element. 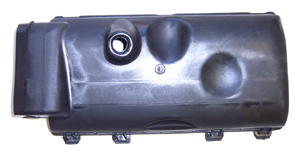 These bolt-on systems allow cooler outside air directly into the intake manifold. These kits provide noticeable horsepower and torque gains under varying atmospheric conditions. Kits include all mounting hardware and a pre-oiled, washable/reusable filter. Polyurethane filters feature 4-ply pleats of oiled cotton gauze and 2 layers of screen, filter offers high flow and low restriction, better throttle response and increased filtration and horsepower. Filters are washable and reusable and comes pre-oiled. 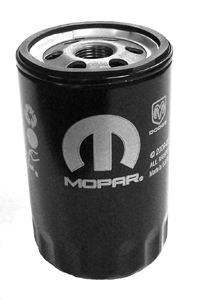 Nothing beats the quality and performance of Genuine Mopar replacement air filters. Creates a ram air effect at speeds of 40+ mph. Integrates seamlessly to the underside of an SRT10 ram Air Hood to route cool outside air into the included Performance Cold Air Intake System. Constructed from lightweight material and installs directly with minor modifications. Carb # D-265-23. This Induction System routes all the cool air your Ram can pull in through the SRT ram Hood (82208702) over to the Cols Air Intake System (77060005) for maximum performance gains. When the going gets tough, you'll want to be sure and supply as much oil to your engine as possible. This heavy-duty, high-volume Oil Pump will do the job and take the most severe punishment. *Note: P4529241 requires pan rework for 4.0L applications. 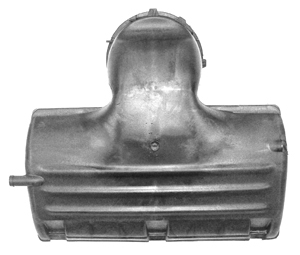 Why buy aftermarket when you can have the high quality and exact fit from these original Chrysler oil pans and accessories! MP-4429860 Dodge Ram Pickup $ 2.95 ea. Accelerator Return Spring Bracket is designed for Magnum crate engines with 4-bbl carb Intake Manifolds. 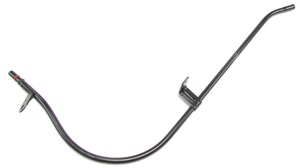 Developed to hold accelerator pedal return spring in proper relationship to Carburetor. Cable Mounting Bracket is designed to hold the stock throttle cable to a Mopar Performance Magnum Intake Manifold. It will also hold the Throttle Cable in proper relationship to Carburetor. Hardware included.